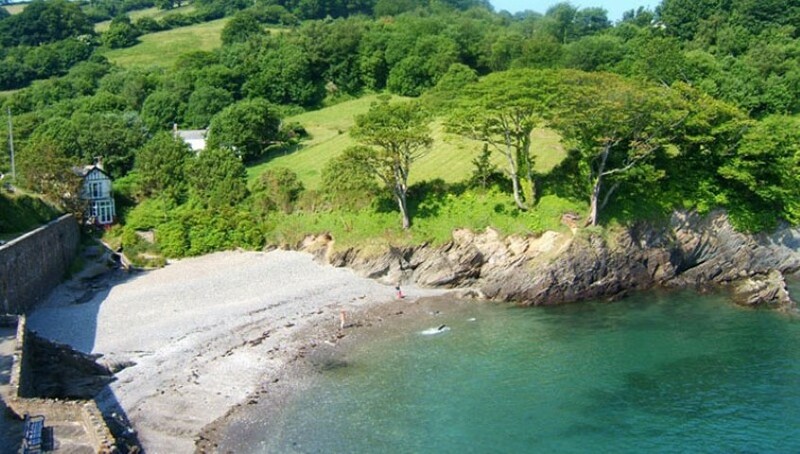 Beautiful paths and the sea, to uplift your spirit, just minutes from our front door . b. From Cranleigh House to St Peter’s church and back. Key to walks: Level 1: relatively easy. Level 2: intermediate. Level 3: challenging. Time: One and a quarter hours there and back. One and a half hours if you stop to enjoy the views! From Cranleigh House, turn right, walk 2 minutes and turn left up Shute Lane, take the next left into West Challacombe Lane, walk up this quiet lane to the National Trust Holiday house: West Challacombe Farm. In the banks are beautiful wild flowers. Turn left at the farm and go through the large wooden five bar gate up the stream/path (it is both depending on what the weather is doing). 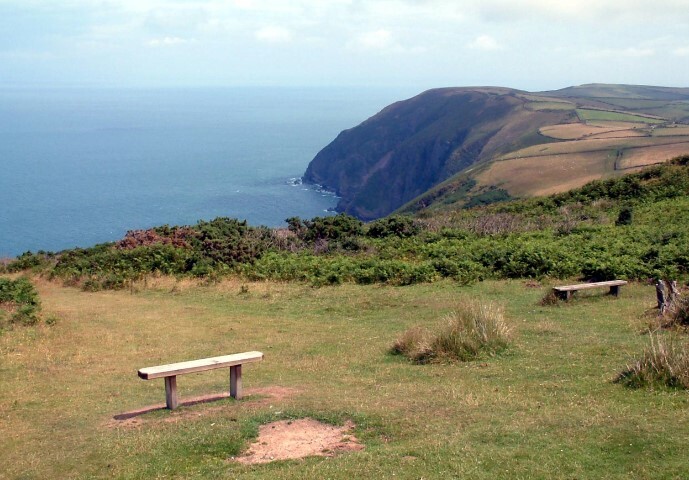 Wind up to the top and go over the style and enjoy the wonderful view down to Wild Pear Beach. Take the path up the hill to your right and keep climbing up. 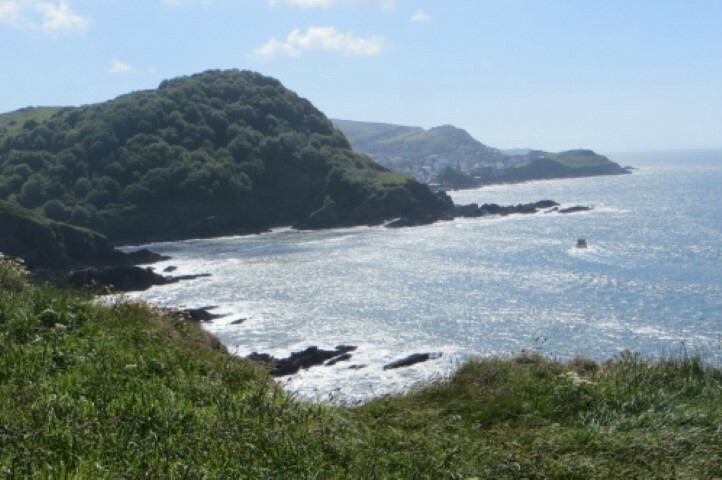 It is a pretty steep climb, with lovely views down over the sea and cliffs and inland over the green hills of Combe Martin. When you emerge from the gorse bushes you turn left and keep walking up to the summit of Little Hangman. From here you can see all the way down the coast in both directions. Exhilarating. Come back down the hill and instead of going back over the stile you can take a right along the cliffs until you reach a gate. Turn left and progress down the steep steps to West Challacombe Lane. Turn right and follow back to Cranleigh House. Edible plants: sheep sorrel, wood sorrel, wild watercress and strawberries, navel wort and garlic, depending on the season. 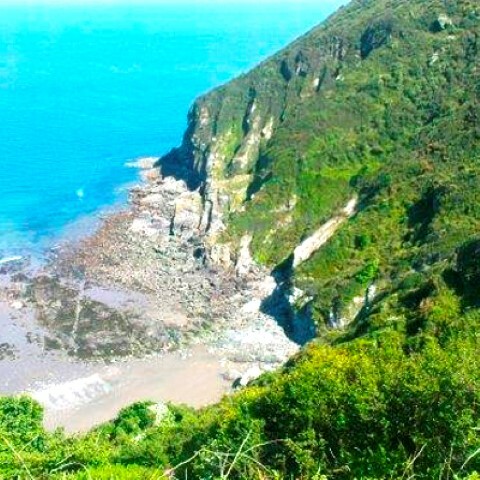 Walk Two: A variation on walk one, taking you down the winding cliff path to Wild Pear Beach. The steps have washed away at the bottom and someone has kindly installed a rope to hang onto as you slide down the shale to the beach. 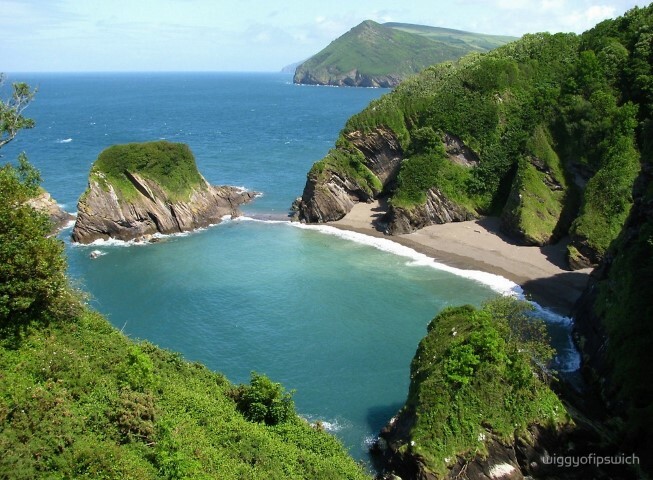 The beach is spectacular, it is a naturist beach if you like skinny dipping. Same level and same difficulties as Walk 1 above. 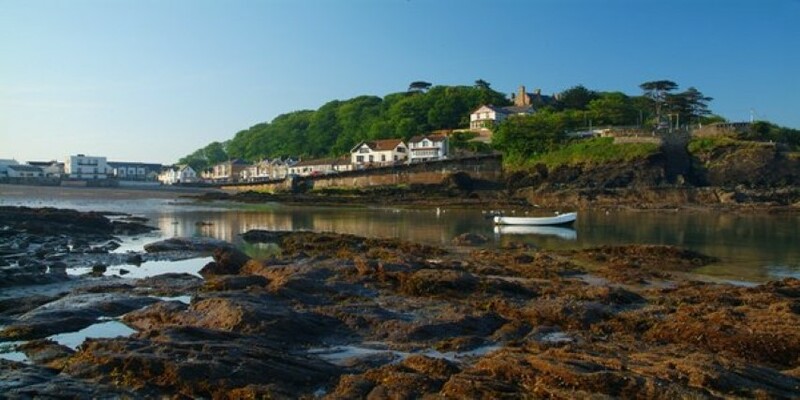 Wild Pear Beach/Broadsands Beach: tide in and tide out. Walk 3: Circular walk via the beach, up to the cliffs and back down steps through the sheep fields and along the lane to Cranleigh House. 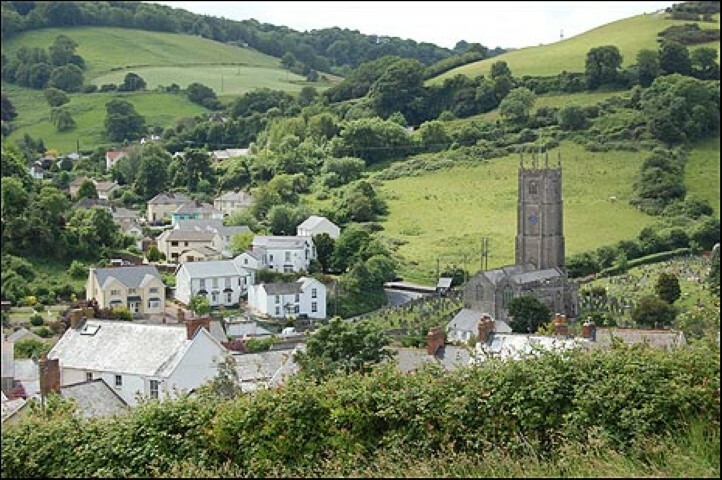 Level 3: A steep hill from the sea up to the cliffs, steep steps down to the village again, no stiles. From Cranleigh House walk down to the beach, (there are various ways to do this that you will see on the maps we have here). 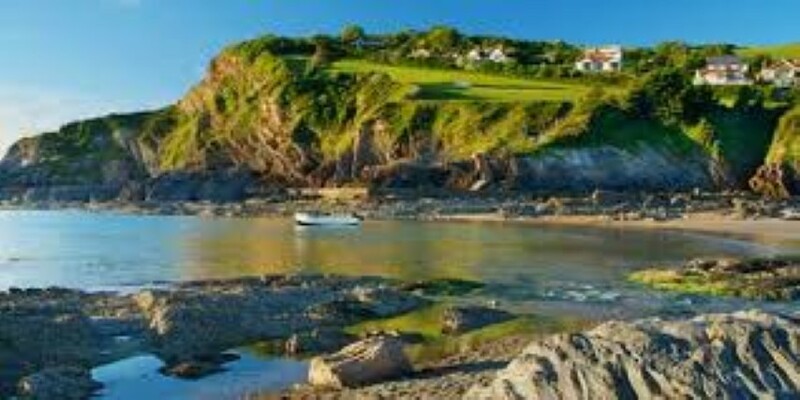 Walk up through the car park behind the beach and climb up Cobblers (the lovely green grass hill overlooking the sea). 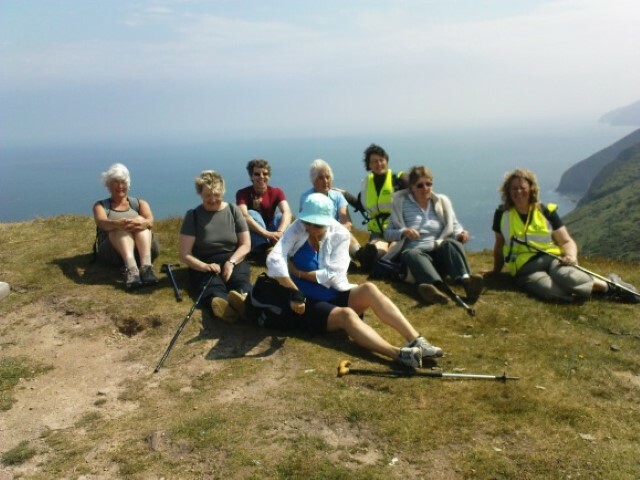 Continue up and along the coast path, enjoying views over the sea and inland. 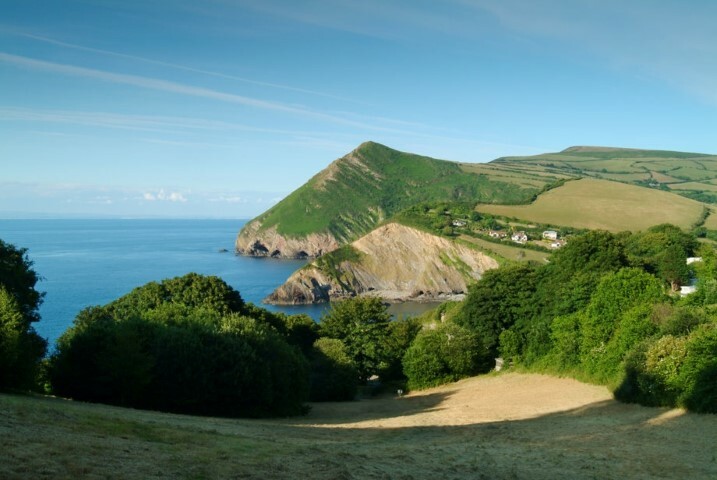 Walk along until you reach a gate, take the right hand path immediately before the gate and take the steep steps down to West Challacombe Lane, turn right. When you reach the T junction take a right down onto the High Street, turn left and Cranleigh House is immediately on your left. Walk 4: Cranleigh House circular walk up to Great Hangman back via Girt Farm and Knapp Down Lane. Walk 5: Variation: from the summit of Holdstone Down back via Holdstone and Knappdown Farms along Badgaver and Skirhead Lanes to the High Street. 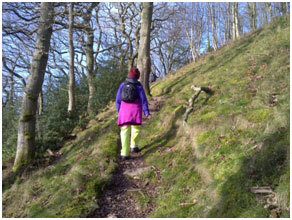 Level 3: Very Steep climbs up and down, stiles, slippery in places. 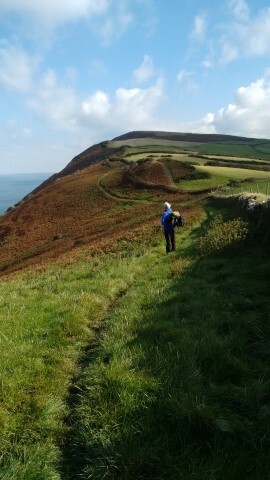 Walk 6: Lime Kiln Circular with village and sea views. Time: One hour fast, longer slow. Level: 2 Fairly steep climbs up and down. 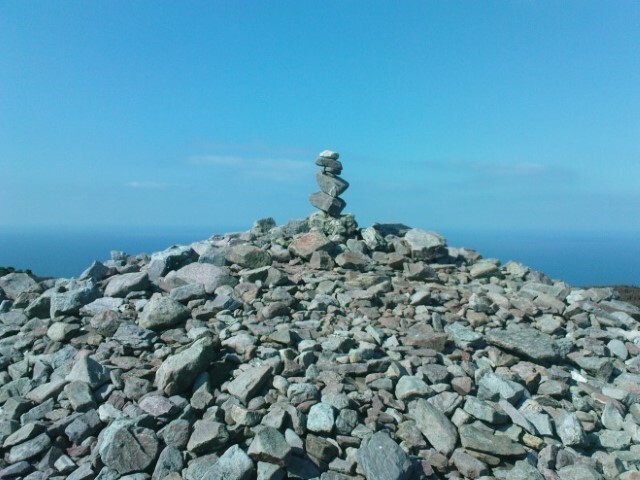 One stile. Instead of branching off right and going over the stile into the lime kiln field. Carry straight on up the track to West Park Farm. Before you reach the farm there is a green field on your right, cut across this down to the corner where there is a gate. 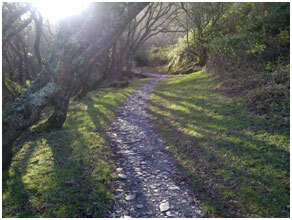 Follow this path down to the stream and walk along the stream through Crackalands Farm down to the beach road. Follow the road past the sea and up the High St to Cranleigh House. Edible food: wild garlic, blackberries, elderberries, rosehips, depending on the season. 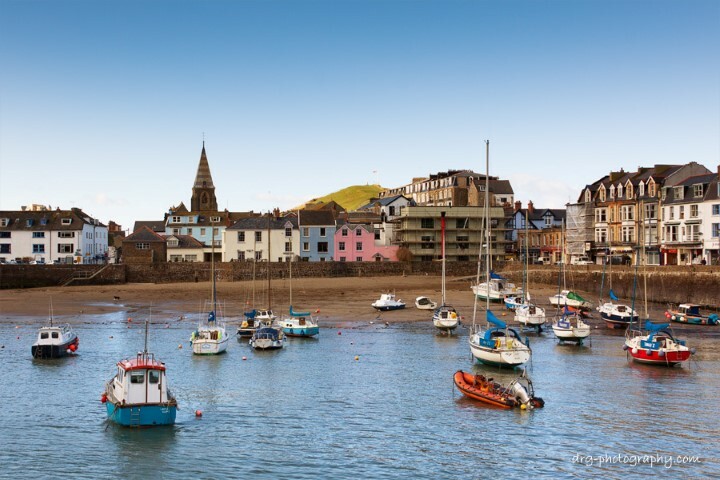 Ilfracombe is a great town with a picturesque harbour, beaches, cafes and some quirky shops. Level 1: Relatively easy: No steep hills, stiles or other big obstacles. There may be some slippery patches, rocky surfaces. 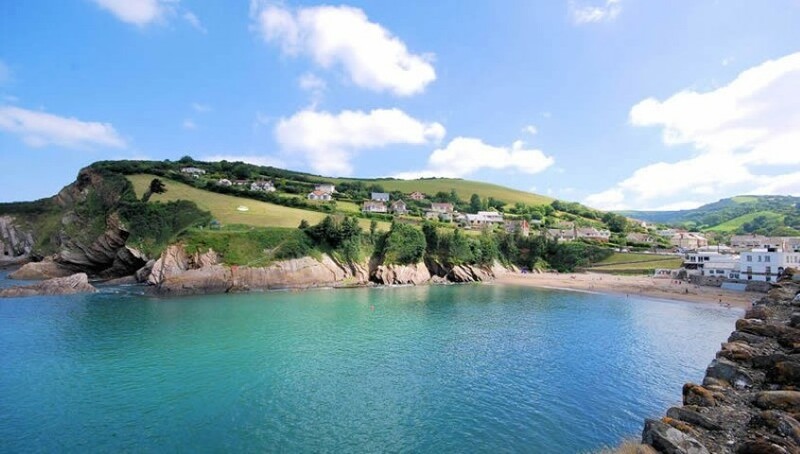 The only easy walks in Combe Martin are down to the beach and back, either down the high street or back through the lanes that run parallel to the High Street or via Water Lane, along the river Umber to St Peter’s Church and back down the High Street past the Chippy. 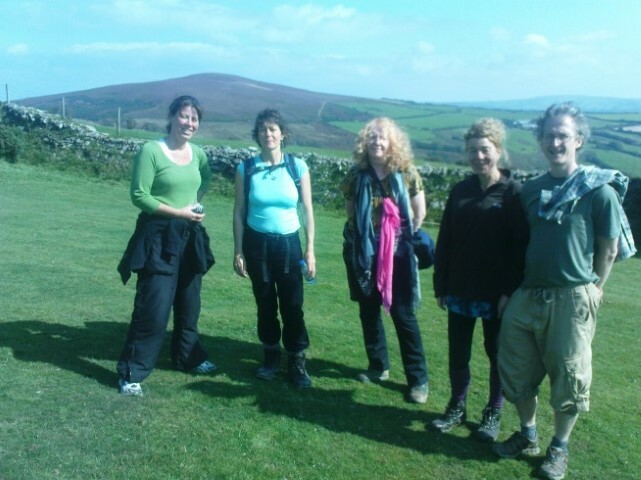 Level 2: Intermediate: Walks with hills, some obstacles eg Styles and slippery surfaces. 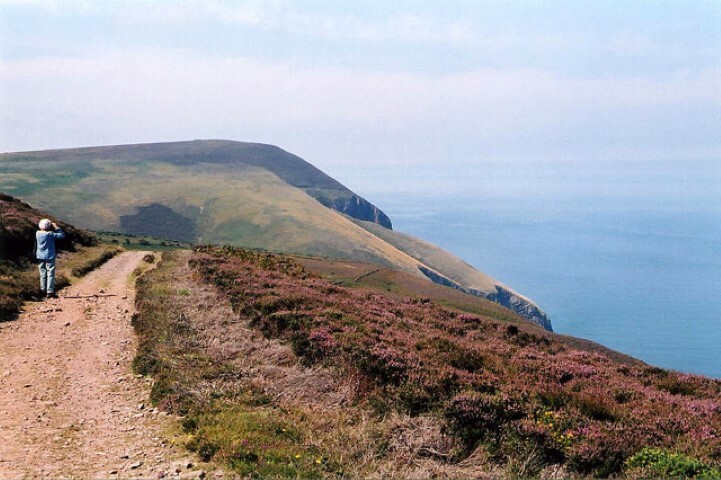 Level 3: Challenging: These walks are for the fit and well prepared walker, steep ups and downs, obstacles and other excitements like steep cliffs on one side of the path. 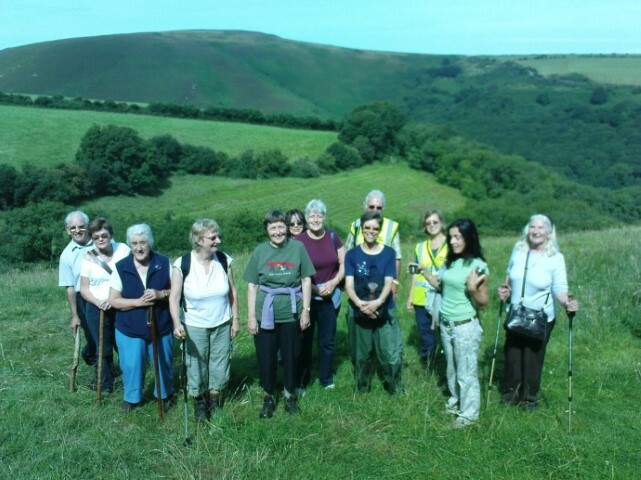 If you have transport there are many other walks in the area but it is quite possible to stay at Cranleigh House for a week and try a new walk every day. 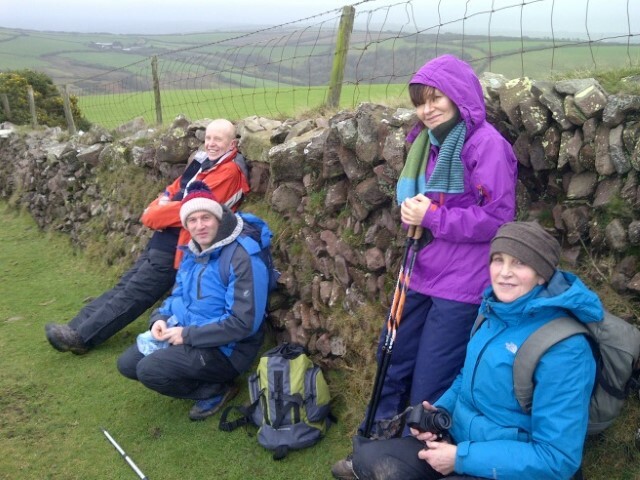 Practicalities: We welcome walkers at all times of the year. Drop off and pick up at the beginning and end of walks is usually available. We have an airing cupboard to dry boots and a drying area for wet clothes.